I’ve got an entrepreneur here who–man, this guy’s had so many ups and downs. He worked on this business for so long that he physically experienced pain, all kinds of issues with his body, with his hands, with everything because he was trying to build this business up. I love that he’s willing to get into that, because frankly so many entrepreneurs out there are such geniuses when it comes to the way they express their stories that I want to hear someone tell me the truth and not pretend they were born a genius and rose all the way to the top on day number two. Today’s guest is Kris Reid. He is the founder of Ardor. It’s a search engine optimization and backlink building company. I’ve always been curious about these companies that build backlinks. I want to find out about how he built his business. I also want to talk to him about what’s worked for him for search engine optimization, what his backlink strategy is, and what he’s doing behind the scenes. Kris Reid is the founder of Ardor Media Factory, a search engine optimization and backlink building company. Andrew: Hey, everyone. My name is Andrew Warner. I’m the founder of Mixergy.com. It is, of course, home of the ambitious upstart, the place where I’ve done over a thousand interviews with proven entrepreneurs about how they built their businesses. I’m a little bit shot out of a cannon today because I recorded an interview with Michael Gerber. We had such a great time, and then the connection just busted out and I lost the interview. He and I are going to work on rescheduling, but not I feel like I’ve got to make this interview for you twice as good. So that’s why my energy level is a little bit higher than usual. And I’ve got an entrepreneur here who–man, this guy’s had so many ups and downs. He works on this business for so long that as I was reading my notes from my producers to prepare for this interview, I physically felt pain, and he physically did experience pain, all kinds of issues with his body, with his hands, with everything because he was trying to build this business up. I love that he’s willing to get into that, because frankly so many entrepreneurs out there are such geniuses when it comes to the way they express their stories that I want to hear someone tell me the truth and not pretend they were born a genius and rose all the way to the top on day number two. Anyway, today’s guest is Kris Reid. He is the founder of ArdorSEO. It’s an search engine optimization and backlink building company. I’ve always been curious about these companies that build backlinks. I want to find out about how he built his business, but I also want to talk to him about what’s worked for him for search engine optimization and what his backlink strategy is and what he’s doing behind the scenes. This whole thing is sponsored by two great companies. I promise as I tell you about them and everything else in this interview I’ll slow it down–I can see my pace is very fast. My first sponsor is the company that will help you hire your next great developer. The next one is the company that will host your website right. So, we’ve got Toptal for hiring a developer and HostGator for hosting your website. Kris: Hey, Andrew. Thanks very much for having me. Andrew: Is my energy level throwing you off a little bit because it’s throwing me off a little bit? Kris: It’s just gotten 5:00 a.m. here, so it’s a bit different energy level. Andrew: It’s like having two Rockstar Energy Drinks before you have your morning coffee talking to me. Dude, you know about this high energy. You worked at one point in the finance industry. Did you ever see people like taking coke? Andrew: Describe for me what’s like. They really are taking coke where? Do they do it in the bathroom, at their desk? Kris: So we’d go to the pub in the afternoon, sit on this like grassy knoll in the financial district, and people just like flick little packets to each other. It’s always being handed around. Yeah. Andrew: What does it do for them? Does it pump them up? Kris: They have really high pressure jobs where they need to be on point. So it livens them up and keeps them active. Andrew: Did you ever do coke? Kris: I may have, but I didn’t inhale. Andrew: You did it, but you didn’t–can you say whether you did it or not? Are you cool with that? Kris: Yeah, that’s fine. I may have experimented a little. Andrew: I did. I’ll be honest with you. I’m such a dork. Here’s what I did. I said, “Look, coke is supposed to get you really up. I’ve got some time for myself right now to explore things that will make me a better person,” which is so weird that I thought coke would, but I figured all these other guys are doing it, maybe it could for me. I took a notebook and a pen, and I went to the coffee shop and I did a little bit of coke and then I wrote down, “What am I feeling? What’s happening to my body? Am I feeling more energy, less energy?” Nothing, nothing, nothing happened. I can actually feel more when I have a little bit of Dr. Pepper than cocaine. What did you feel? Kris: Maybe you didn’t have the good stuff. Andrew: I may have had actually chalk. It looked like chalk, like chalk just busted up. What did it do for you? Kris: You can get good stuff and bad stuff. It depends where you get it from. It’s not like you just go to the shop and buy it. It usually makes you quite energetic and depending what it’s mixed with because it’s usually cut, it can make you rather high or rather goofy. It depends. Andrew: Well, for me, maybe I did have the bad stuff. Apparently I don’t need it because look at this freaking energy I got. Andrew: Did you make good money on Wall Street in the finance industry? Kris: Not compared to the brokers. I was a software engineer. So we’re the guys behind the scenes. Compared to any software engineer in Australia, yeah, it’s great money. But compared to these other guys, there are guys I met that are like 25 and just balling, house on the Strand and money coming out the wazoo. Andrew: I lived in New York. I met those guys. It’s very painful to be around them because you really do doubt yourself, especially since they don’t need to reinvest it in their business. They just have the money coming out. So they spend it on everything–on cars, on dinners, on showy things. Did you save any of the money? Kris: I did, thankfully. I made more than I could spend. I was a stupid 20-something year old. I tried to spend it all. But I thankfully got paid enough that I couldn’t. Andrew: Why did you leave? Kris: The financial crisis is really what pushed me out the door. Andrew: What happened to you? Did they fire you because of that? Kris: Yeah. I lost my job, and being a cocky young guy that I was, every job that I had I got a significant pay raise. This was before things got bad and I could get the same money, but I was like, “Screw that, I want a huge pay raise.” I couldn’t find one, so I went, “Screw it, I’m out of here.” I hadn’t been to Australia for three years, so I traveled back home. Andrew: My producer talked to you about that period on your life. She found out that you had money. You actually saved enough money that you could go around, live life and not have to worry about money. How much money did you save up? Kris: It wasn’t like a ridiculous amount of money. It was probably like £50,000. Andrew: When you did that, traveling by land to go from Europe to Asia to Hong Kong you said, right? Andrew: What was the experience like? Were you staying in tents? Were you staying in hostels, a little bit of everything? Kris: Yeah. I took trains the whole way. I was mainly staying in hostels and sleeping on trains. In Russia it was really great. At the time I spoke enough Russian to get around, and when you’re traveling by yourself, you’re forced to get out there and meet people. There was this one time in a city called Yekaterinburg and I hadn’t spoken to anyone. My Russian was really primitive. I hadn’t spoken to anyone like a real conversation in days. So I was like, “Man, I want to meet someone.” So I went to this Irish bar and I tried to look as touristy as I could. I took a Lonely Planet guide and got a Guinness. But everyone having the same color skin, you don’t stand out. So it’s a bit harder. Andrew: And did you end up dating her at all? Kris: Yeah. I stayed in Yekaterinburg for quite a few days and then had to skip a lot of other Russian cities because I was running late. Andrew: You really are the coolest guy in SEO. Most SEO guys look like they’ve been in a cave for years. Were you always like that? Did you have game growing up? Kris: Well, a little bit. I’m a country boy from country Australia. I have changed a lot over the years. Andrew: Yeah. I heard that you were a bit of a nudnik in school, that you hated authority, that you were fighting against all of it. I feel like that it’s a cool Fonzie type of thing to do. The one guy you admired was your dad growing up. Why did you admire your dad? Kris: When I was about 10, Dad had this really big electrical contracting business. So every morning all these vans and trucks would come to our house and all get instructions from Dad, like he was leading the army. It was pretty cool and I always wanted to do that. Kris: For sure. He always pushed me to not really focus on a job or that mindset, “You’re going to be an accountant or lawyer or whatever, just learn the skills you need to be an entrepreneur,” which I think is a great survival trait. Andrew: Which is true. Well, kind of, actually. I see most entrepreneurs are not only in the office every day, they’re also in the office at night and weekends and early mornings on their phone. While whoever is in bed with them waiting for them to be loving with them is still sleeping laying there, they’re still working. Andrew: Then you moved to Siberia because of this girlfriend, right, the Russian girlfriend? You go to Siberia and you say, “I’ve kind of run out of money.” Am I right? And that’s when you decide you need to make some more money? I started learning about SEO. That’s when I realized how important backlinks were and I built some software–I just love building software–to build backlinks and manage backlinks. My Russian girlfriend asked me to move to Russia, so I did. I thought, “How am I going to make some money?” because my Russian was terrible. I made money from SEO. So it worked out okay. Andrew: We’re talking about 2010, when you can get away with a lot of stuff for building backlinks that you can’t do now. What’s one of those things you did back then that was amazingly powerful that today would get you in trouble? Kris: The funny thing is Google is different in every country. So different things that used to work in 2010 still work in other countries. So we used to build these forum profile backlinks, which are really simple. You go into a forum. You create an account. You make some little blurb about whatever the business is and have a link back to the website. A backlink is like a hyperlink, the things you click to go from one website to another. These used to work amazing in the English speaking world. I tell you, they still work great, like we’ve got a customer in Mexico and he buys links all the time. Mexican SEO is just not as competitive. Andrew: Wow. So you can go on to–does it have to be forums in Mexico to create these links? Kris: No. We even use English ones and it works just fine too. Andrew: I see. As long as it links back to his place in Mexico and his people are searching in Mexico using Google there. Andrew: That’s amazing. I had no idea that was true? Kris: Yeah. We have some Japanese customers that do the same as well, so Japanese SEO is still not as competitive. We’ve been trying to move them over to our better quality links and then they’re slowly coming there, but they’re more expensive. Andrew: Will comments still work there? Kris: Blog comments don’t really–most of them are no follow. So they don’t really work very well for actually boosting your rank. But they’re very good for boosting your brand. Kris: Because you’re commenting like in a forum that is about whatever you’re doing, it’s really nice. Someone sees–if you went to a podcasting forum and you were commenting all the time, you’d really build your brand, like it’s Andrew and he knows all about podcasting. Andrew: Got it. All right. So where did the money go–I’ve got to get into the business–where did the money go? You got £50,000. Kris: Loafing around the world for two years, building a business was really a secondary thing. The first year, I was certainly living large and just having a great old time. Andrew: What’s an example of living large for you? Kris: It might not be the same as other people, but just like when you’re out every night, staying at hotels and not making any money, but spending money, air tickets and dinners and drinks. In Russia, it’s customary that if you’re out with women, then you pay. So you could be two guys and you go out with 20 chicks and you’ve got to like buy all them. Andrew: You talk about staying in hotels, I remember when I moved to Los Angeles, I had a place that was right on the water in Venice Beach, which means you’re basically on the boardwalk, where there’s a lot of noise, and the water is right in front of it. I remember going to Sunset Strip having such a good time one evening and saying, “I don’t want to go all the way home.” I’ll stay at the Standard Hotel, which is a really nice hotel. I booked myself in a room at the Standard Hotel and got to sleep in for the day. It was really pleasurable. I like those little touches in life. I feel like those little luxuries matter more to me than the big ones like a car. I see. Now you start to get a job. You do the social media marketing company job, right? Kris: That was in Dublin in Ireland. I ran out of cash, so I got a job for a social media company. Every weekend I would work on my business and build it up. It was going okay. I was certainly not making enough to survive on just yet. My bank account was empty, so I was filling that up at the same time. Andrew: I see. The whole time you’re still building backlinks for clients? Andrew: The one thing you told our producer the big mistake you made was you were not talking to customers. You were instead doing what? Kris: We had two websites, actually, that ranked really well for keywords like backlinks, both of them were in the top 10 for that term. So we had plenty of traffic. They’d come to the website. They’d sign up, buy a product, the product would get delivered to them and away you go. That’s a great way to have a business, because you don’t have to talk to any customers, but you also don’t know your customers, what they’re doing and how you can help them better. I think that really limited us. So now our customers, every one of them, there’s no way to buy our products without speaking to someone, which is limiting in itself, because you can’t sell a million copies of something because you can’t talk to a million people, but we know what people want and we provide those services for them. It’s a nice way to do business. Andrew: When you weren’t doing that, what’s the problem that you had? They were still coming to your site. They were still buying your package. What were you missing out on because you weren’t talking to customers? Kris: I don’t think we knew exactly what they were trying to achieve. Yeah, you know they want links to increase their rankings, but at the end of the day, they don’t care about rankings, they care about customers. So it’s about traffic, not rankings, and then it’s about conversions, not traffic, knowing exactly what your customers, who they are and what your limitations are. Sure, some SEO companies know how to build backlinks or what to do with their links or how to pick the right links and what not, but a lot don’t. A lot of end users, who’s some random guy trying to build is website, they really don’t know what they’re doing. So they need your guidance. We even look at people’s links now. So we still have a system where they can pick their keywords and whatnot. But we check what they’re doing to see if we can suggest something and go, “That doesn’t look right. Andrew: I see. Is it fair to say that they would buy from you, not get the results they wanted and then go away? Kris: Could be. We’ve never even checked that. Andrew: You wouldn’t even know that. I see. And so then what pain did you feel that made you finally decide, “I’m going to start talking to customers”? Was it a payroll issue? Kris: For sure. So it was more a Google issue. Google brought out their Penguin update four years ago now or something? That really destroyed everything we were doing. Our sites got penalized. So we stopped getting traffic and so we stopped getting orders. We still had a trickle coming in, but not like the good old days. Andrew: That is really painful. All right. Let’s take a moment and then we’re going to talk about what you did to recover from that. First, I want to talk about my sponsor. You actually have done business with these guys. Kris: I do business with them every day. Andrew: The company is HostGator, web hosting company done right. Why do you use HostGator, Kris? Kris: I really can’t remember why I started. It was a long time ago, but we’ve been using them forever. Andrew: That’s a fair point. Here’s the thing. You sign up for a good hosting company. If they work, if they do their job, you don’t need to think about them again. It’s when they don’t do their job right that you start to think about them. The thing about HostGator is that so many people who I’ve interviewed have said that they were on them, that they are on them, that they send their clients to them, it’s because it’s hosting that just works, absolutely just works and has for years. If you’re listening to me and you have a website and you don’t like your hosting company, just move it over to HostGator. In fact, if you’re on WordPress, they’ll move it for you, just sit, have a cocktail and they’ll move it for you. And if you don’t have WordPress, they make it really easy for you to move yourself. Here’s the thing, if you’re listening to me, they’ll give you 50% off if you go to HostGator.com/Mixergy. They’ll also give you a $100 AdWords offer, $50 search credit from Bing, Yahoo. You’ve seen, by the way, Kris, a lot of different websites. Is there one you’ve seen that works especially well that maybe someone who’s starting a new business can learn from? Kris: Building a website is a tricky thing. It’s who you’re directing your information at. If you’re a wedding photographer, then you expect it to be all glossy and have nice wedding pictures. Andrew: What would you do today? If you had to start over with nothing but a web hosting package, what site would you start? Kris: That’s not where I would start. I’d start talking to people rather than building a website. Andrew: Really? First you’d talk to people. I see. Kris: Yeah. I was just listening to one of your podcasts last night. I forget the name of the guy. He’s the guy that has the–he was talking a lot about patents. That was his point. You get out there and rather than building some software, go and ask people if they want that software first. Andrew: I think you’re absolutely right about that. All right. Well, with that approach, I don’t even think you need a website, frankly, you just start making phone calls to people, you learn as much as you can. When it’s time, you don’t need to build out the full product. You just have a website that talks about what the product is and a button that says contact us to start. Do you guys do that right now? I forgot. Let me go to ArdorSEO.com. I think you guys have a big button that says contact us. Kris: It should be. It’s a pretty basic site. Andrew: It really is a basic site. Andrew: There it is. And on the very bottom it just says contact us. The site doesn’t need to do much more than that. It’s so easy to build that on HostGator and so many other projects you can build on there. Go to HostGator/Mixergy. So you started talking to your customers. Did you talk to people who used to buy from you and then stopped, or did you talk to new customers? Who’d you talk to? Kris: Really what did change is I started cold calling people, which I’ve soon found was not very effective and stopped, but then I built a nice PDF explaining what we do and sending it out to like SEO companies. One of our biggest customers that’s still a customer and growing with us all the time, their SEO manager contacted me on Skype and we had a great conversation and he was a customer then and that really saved our lives. He became a big customer then, and we’ve been growing together for years and it’s been fabulous. Andrew: So, when you talked to them, was it mostly sales, or were you learning about their needs and then creating a product for them? Kris: We already had the product. It was more building a relationship to work out how we could align our product with what they were doing. So there was also, which kind of worked out well, this really big SEO company that was also a huge link developer and changing focus. They shut down their office in the Philippines. 120 people lost their job. We picked up a lot of their customers, these guys included. So we’re trying to work out what service were they providing and how can we do that for you, but not exactly the same because we want to get better results, right? Andrew: I guess what I’m getting at, Kris, is what did you get out of making those phone calls? Did you find that making those phone calls helped you close sales because you can close bigger sales by talking to people as opposed to waiting for them to find you online and buying from you, or did you find that you could provide a better service and charge more when you talked to your customer and understood their needs? What was the benefit of talking to them? Kris: Yeah, 100%. You provide more value, even if it’s seed value, you can certainly have a higher price point when you’re speaking to someone. When we had a website and people could order stuff, I think our cheapest product was about $5 and our most expensive product was about $60. Like a $5 price tag is like whatever, no one’s thinking about it, where like our bottom end products now are like $300 and go up to a lot more than that. Even $300, someone’s going to think that’s even a recurring thing, that’s $3,600 a year. People want to think about that a little bit. They want to have a chat with someone and know that you’re a real person. If people think that you’re looking out for them, they’ll invest a lot more in you. Andrew: I see. I often think of talking to customers as a way of understanding what they’re looking for so I can create a better service, better products, understand where we’re failing them. You’re saying talking to customers helps you increase the price that you can charge, that people are not willing to pay more money unless they get to talk to a real human being who understands what they want, am I right? Kris: For sure. We’ve got this great sales guy who’s American and he’s going to California for Christmas. I said, “Stay there for a couple months. See if we can do some more business with you being face to face.” I’m sure he will. I was just in Brisbane, Australia, where I’m from, and we’ve got more customers from Brisbane than any other city on Earth because I relate better to people in Brisbane and when I’m there, I see people. You shake someone’s hand and look in their eye, it carries so much weight. Andrew: Where was this period when you had–what is it called–acute alopecia? What’s alopecia? Kris: So alopecia is where your hair falls out. It’s an autoimmune disease. It’s where your immune system attacks your hair follicles. Andrew: Oh my god. What a thing to attack. Kris: So I started and I had this little round circle on my head–I used to have more hair then. Andrew: But then suddenly a round spot on your head would just be bald. Kris: My friend, he’s like, “I think that’s ringworm.” I was like, “Yeah, probably.” So I started rubbing this stuff in there, and it’s getting bigger. I went, “I better go to a doctor.” I went to a doctor and they’re like, “That’s not ringworm. That’s acute alopecia.” It comes from being stressed. So I had to chill the hell out and get anti-inflammatories injected into my skull, which really hurts. I got that done for a couple months and tried to chill out. My hair grew back, so win/win. Andrew: What was causing the stress? Kris: Business was not going well. This was before we really started speaking to people. Our cash was drying up. When you’ve got other mouths to feed, it’s like how are you going to make payroll. It gets really stressful. It kept pounding. We were building software at the time. I had a couple young developers. I got carpal tunnel in my wrists. I couldn’t type. So that makes me even more stressed, because it’s like I can’t build my business because I can’t type. I just felt like going down, down, down. Then you’re feeling negative and acting badly. Andrew: What did you do? What’s your acting badly? Mine is eating potato chips. Kris: I was drinking too much and working too much. I’d go out at night and booze up and forget about my worries and then up at 6:00 in the morning and work haggard. You’re not thinking straight and making bad decisions. It’s just a terrible way to be. Andrew: Do you still have carpal tunnel now? Kris: No, not at all. Once I started looking after myself, it all disappeared. Andrew: I see. So this was stress-related. Kris: Yeah, it was all stress-related. Andrew: This whole time, you had different jobs. You were working for Sony. You were working for social media companies. Kris: This was way after that. Andrew: This was after. But before, the whole time you’re building your SEO or your backlink business, you had other jobs. Is that because you couldn’t make this job pay for your life, or was it that you didn’t think of this as a business? You thought of it as just side revenue? Kris: No. There was one period where I had started the business, ran out of money, got a job or had two jobs for a year and a bit, and that whole time I was really working on my business because it was like I’m sick of working for the man. I was really serious about it then. After I finished my job from Sony, that’s when I got an office in the Philippines and headed there. Andrew: Did the Philippines, is that where you hired people to do your backlinks? Kris: We already had quite a bit of online staff. They already did the backlinks. It’s just I built the software. I had never been to the Philippines before. The three senior staff, the first guy that I ever hired, he still works for us doing those links. I asked him, “Where’s the best place in the Philippines?” They all said Davao, this city in the south that no one has ever heard of. Andrew: I didn’t. I’m about to Google it right now, Davao? Kris: Yeah, D-A-V-A-O. It’s where the president is from. I went there and thought it’s got everything I need and set up office and I was really surprised none of those guys even lived there. I assumed they would have. Andrew: So you hired people from there, you lived there, am I right? By then you already had your process. This is when you got your mojo. This is when the business really took off. Andrew: What was your backlink strategy back then, and how did the software help out with it? Kris: That’s a big part of our backlink strategy right now is we have this software that manages what we do. When you’re building gazillions of links and lots of content, you need software to manage it. So we have a writing team. A customer, all they need to do is pop in the keywords and URLs they want to target, hit the Go button. That gets sent off to our writing team who then write articles. If it’s around how to walk a dog or whatever, you wouldn’t believe the customers we have. Then that gets sent to an editorial team that review it and check its good quality. That gets sent to our linking team. So then they’ll go post it on the website that is in that niche. If it’s a lawyer, it will be on a lawyer’s site. If it’s a doctor, it will be on the doctor’s site. Andrew: And you guys will go after them? Kris: Yeah. So we go and find the sites we can link with and add them to our network. We use Web 2.0 properties as well, so sites like WordPress, Tumblr, LiveJournal. Those don’t have as much oomph, but they still have a bit of kick. It gives a lot of diversity. Andrew: Do you post the same article on all those sites? Andrew: Different ones? You change it up. Kris: It’s a whole lot of content we’re pumping out. Andrew: Let’s suppose that I needed to get more people to come to Mixergy and I came to you. I said I want to target digital marketers, people who are marketing online. 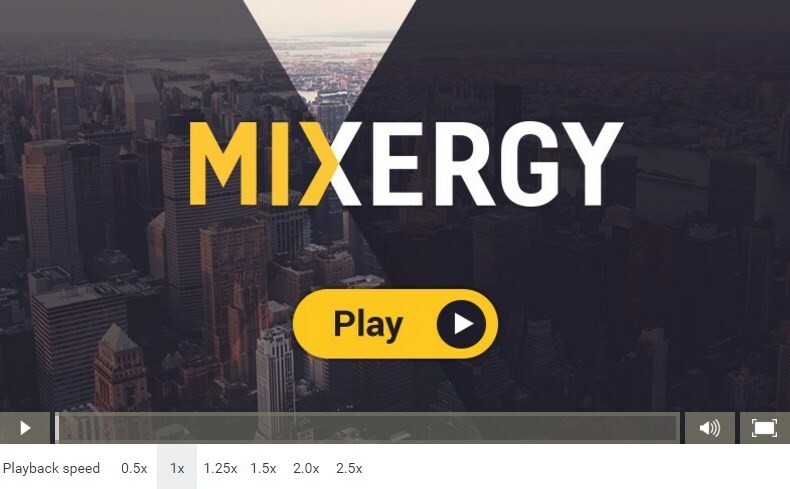 I have a few interviews that I want to get some attention for, and I’m hoping the people who come for those interviews end up signing up for Mixergy Premium where they get courses on marketing. What would your team do? What’s the process? Kris: So with really competitive keywords, like “digital marketing” and stuff, anything that’s valuable is competitive. Someone’s after that money. Andrew: Actually that’s right. Those are the guys who are best at marketing that we’re going up against. Kris: So you’re going to have to find some good backlinks. Good backlinks are hard to find. But one thing that we do that is really effective is you can go and look at sites that have broken links. So you can go and find one of your competitors, say The Tim Ferriss Podcast. You go crawl his site and see who’s linking to his site that’s a broken link. Maybe he made a post five years ago and it’s not there anymore. Then you can recreate. It might be, “How to Record the Perfect Podcast.” Then you can create this new article about how to create the perfect podcast, contact all those people and say you’ve got a link here, but it’s going to a broken page, maybe you’d like to link to us. Kris: That is really time-consuming and you’ve got to make super awesome content, but it does work. Kris: Yeah. That’s one strategy that we use and as you can imagine, it’s really time consuming and it doesn’t always end in a result. Ideally you want to find an article that has 20+ links because you contact 20 people, you might get a handful. A lot of people don’t care. Another great strategy is finding old content. So, if someone made an article of the best podcasts of 2014 or something, you can update it and make it the 2016 version and add whatever needs to be there, then again contact the people and see if you can get links changed. Kris: That might not–well, you’ve just got to find the ones that do. Another really good example is university sites. So you’ll see professors. They’ll put resources in there of things they need for the course. Over the years, they never update them and sites go down. I think it’s like 250,000 domains expire every day. It’s crazy numbers. Andrew: How do you find this? How do I find articles on educational websites, on university websites that point to my competition? Kris: You use tools. There are tools like Ahrefs, Majestic, these are both like little spiders that crawl into that. Andrew: So, I go to Majestic.com, what am I using them for? Kris: So how Google became the authority search engine is all the other search engines were based on content. If you wrote podcast all over your website, you’d rank the best for podcast. Larry Page thought, “Well, that’s stupid. When someone writes a book, if everyone is referencing your book, then you must be the authority of that niche.” He thought, “Well, that must be the same for websites.” So, if everyone is linking to your website, then you must be the authority. He invented the page rank algorithm. It works amazing and Google began the dominant authority and killed everybody. Kris: Where am I going with this? Andrew: I was asking you about how I could use Majestic to find out where sites are broken that are linking to a competitor. Kris: Yeah. Several years ago, Google used to show the page rank of website, but they don’t show that information anymore. So you really have no idea about if I get a link from Mixergy.com, is that worth anything? Does it have any authority? Then there are sites like Majestic and Ahrefs that are like mini versions of Google. They crawl the internet and see who’s linking to who and try to weigh up, like Majestic has what it calls trust flow and citation flow to try and gauge the power of the website to see how many links it’s got going to it, so what would be the value of it linking to you. So using that and Ahrefs so it does the same, Ahrefs is better for showing broken links and it will show you all the broken links on a website, where they’re linking to. You just have to mine through the data. Andrew: This has been done for years. We’ve done courses frankly on Mixergy about this process. What I’m trying to understand is what is that process of mining the data? What’s the process that you use? Kris: So that’s exactly it. You’ll find who you wanted to compete with. You go through their website. You see who’s linking there. Andrew: Who’s linking to them, okay. Kris: If you want to beat someone on the internet, you just have to find out why they’re ranking and do more of it. So like a really simple example is local SEO citations. So this is probably more relevant to most businesses because most businesses are focused on a local geographical area. So say you wanted French restaurant. Google that and you’ll generally see three restaurants in the Google maps box. They get there because of their local SEO citations. The more Google sees their address and their name and their phone number, the more confident they are that’s where they’re located. All you need to do is search that phone number in Google and find all of the citations they have. No one has the same phone number, so it’s pretty easy to find it. You can crawl through and you go, “Okay, they’ve got 37 citations.” You make 47 and you win. Andrew: 47 people who have my phone number too. Kris: Sites like White Pages, Yellow Pages, Yelp–in Australia, there’s Get Local. All of the local kind of guides and stuff, if you get listed in those with your name, address and phone number, it’s going to boost your Google Maps listing. Andrew: Okay. All right. I still don’t see how I can find–let’s look at John Lee Dumas’ website, EO Fire. I like that guy. So I could use him as an example here. Let’s suppose I wanted to find all the broken links to articles on his site that I can go back to the writers and say his site is broken or this page on his site is broken. You should link to me instead. What’s that process? Kris: Literally you can just put that into Ahrefs and on the left-hand side it’s got all this information. You need to have an account. It will show you the broken links that they have. Andrew: The broken links on their site and then I see who’s linking to those broken links. Kris: Yeah. You can see who’s linking to this link. Kris: So it will show you all of the people going to that one page. All you need to do is recreate that page, go and contact those people. Andrew: I see. You have the internal tool. What does your internal tool do, the one you build for yourselves? Kris: We got two and one is for doing outreach. So it scrapes information from websites, and then our guys mold it into–it might go to Mixergy and it might grab Andrew and Andrew’s email. Then we can use a templated email to go, “Hey, Andrew from Mixergy. We see this link is broken.” We can send 100 emails that are all tailor made with that particular link. Andrew: I see. A lot of times when I talk about Toptal, this company that has a team of developers, I talk about it as a way of hiring developers who will code up the product that my audience’s customers are going to use. That’s what you did. You said, “Here’s our process. We manually find the information for the site owner. We get their email address. We get the email. Then maybe we send out the first email, then maybe we send out a second and so on.” You do this manually a bunch of times and then you say, “Now we can really hyperspeed this.” We hire developers or you guys internally build a tool that will do it for you. If you’re listening to me, the reason I used Toptal is frankly because they’re a sponsor of mine and also because they’re just fantastic. They have this team of developers. They recognize that a lot of developers are really good but they don’t want to take the trip down to Mountain View every day from San Francisco. It always sounds really cool when you listen to the lifestyle that developers have. These guys get driven down to Mountain View to work at Google and they’re driven in these buses that have Wi-Fi and desks and all that. I know friends who do that trip every day from San Francisco down to Mountain View. It’s grueling. It’s an hour and a half each way stuck in traffic. It’s exhausting. A lot of developers who are really smart say, “I don’t want to do that. I don’t want to go to Palo Alto. I don’t want to go down to Mountain View. I don’t want to go down to Sunnyvale.” They just want to be wherever they want to be. So these top developers end up often taking the quiz, going through the tests and getting hired by Toptal and then Toptal says to entrepreneurs and business all around the world if you want to hire the best of the best, come to us, we’ll connect you with the right developer or developers and you can work with them no matter where you are and they’ll work as if they’re fully on your team. You can add them on Slack. You can set them up with whatever else you guys use, on Skype, and they’re there and working with you. That’s the idea behind Toptal. If you’re listening to me and you want to build an internal tool or you want help building your product for your customers, you’ve got to go check out Toptal. So many companies including Airbnb are doing it that you’d be a fool to not at least investigate them. Go to Toptal.com/Mixergy. When you do, they’re going to give you something that they’re not giving anyone else. That is 80 hours of Toptal developer credit when you pay for your first 80 hours. That’s in addition to a no risk trial period of up to two weeks. Go to Toptal.com/Mixergy and you’ll get that. I’m really proud that they’re a sponsor of mine. And of course, if you guys are listening to me and you want and intro to them, email me, Andrew@Mixergy.com. I’d be proud to introduce you to my guys over at Toptal. You built this internal tool. It started to work for you. Is this new approach what allowed you to finally work full-time on your business, hire and grow? Kris: Certainly it was the speaking with customers and learning who they are and what they are is what allowed us to grow. But building tools, I think it’s really important to test them first, so doing things manually. We did everything manually first. Andrew: And then you developed the software for it. Kris: Yeah. So I’m not that involved in either the software development or the link building these days. I try and get the dev team and the linking team to communicate because it’s like if we can speed you up any way, that software is just there to make your job easier It’s hard to get people to understand that, that this software, we can make it do whatever the heck you want it to do. It certainly speeds them up. Kris: Yeah. We do a lot of that, for sure. So we deal with a lot of SEO companies and some know what they’re doing, some don’t, some are just starting out. One that came to us recently, he’s looking for the keyword SEO Brisbane. I said don’t start here. You’re up against the big boys. It’s not going to happen. Start out with a lesser keyword, like business card designs. Sure you don’t want to build business cards all day long, but you’ll rank for it and you’ll get some traffic in and it’s a business owner, so you’ll be talking to someone that’s relative. It’s like grab the low hanging fruit. Andrew: And they’ll create business cards for those customers first and then upgrade them to search engine optimization? Kris: You can, for sure. If you’re doing logo designs or business card designs, that’s the same process as building a website, right? It’s a much smaller project. Andrew: You’re telling them to shift their business? Kris: No, no, just to aim for those keywords first, not for their business change, just to see where you can rank. Andrew: But you’re also telling them don’t just do SEO. You should also create business cards? Am I understanding right? Kris: No. I’m really just focusing on the rankings. Andrew: I see. You’re saying bring people in who are interested in business cards, and then they’ll see on your website that you also do SEO. Andrew: Got it. I see. Kris: You can’t rank for the big–if you were just going for a giant hotel phrase like “hotels San Francisco,” you’re not going to rank for it if you’re some boutique hotel. So go for a keyword that you can, like where’s the best French toast in San Francisco or something. Andrew: I see. I got it. So this SEO customer of yours would probably create something like–or you tell me if I’m right–like top 25 business cards designs. Throughout that page, there would be links to his SEO services. Kris: They can certainly do that, or just “printing card designs Brisbane.” Someone that does need a business card is a business owner. They need other business services. It does get you in the door with them. It’s not going to be a high value case study necessarily, but it at least gets you something, where ranking number 99 for SEO Brisbane, which is a valuable keyword, well it’s not worth anything if you’re on page two. Andrew: Ardor Media Factory, that’s the company that you have that services SEO companies? Andrew: If I understand you right, what you do is you do the work for them. They then resell to their customers? Andrew: I see. So what kind of work do you do? Is it mostly SEO? Kris: It started out completely as links, 100% links. Over the years we started looking at our customers and providing better services. So we’d look at their rankings. If they go up really well, it’s like, “Great, buy some more links.” If they don’t, it’s usually something to do with the website and then we look at the website and go, “Hey, guys, this is terrible,” and provide an audit for them or whatever is needed and fix them and up they go. Andrew: I see. And that becomes another part of your business. Kris: That’s how we got into really being an SEO company before we were doing links. Andrew: How much of your business is links right now? Kris: Still about 60%. Where we’re growing is in retail SEO. Andrew: Directly talking to business owners. Kris: This is probably back when I was really stressed and doing cold calling. I certainly got shot down a few times. That’s probably when I realized cold calling is not the best use of my time. Andrew: I see. That’s when you shifted to the process of sending them something and then following up with a phone call, or is it sending them something and asking them to call you? Kris: Yeah. Any way you can get a foot in the door, LinkedIn is a great tool and spying through who knows who and getting recommendations and then introductions to people, it can do a lot better than cold calling someone and interrupting their day. Andrew: What do you mean? What’s your process for getting a customer now? Kris: So even just yesterday we needed some new staff. I’ve been hunting around. We’ve got some really great remote staff. I was hunting through some of their profiles and looking at some other people they’ve worked with. I sent some people, “Hey, do you want to have a chat and we’ll have an interview.” It’s the same thing you need quality staff and quality customers. Andrew: So you’re looking on LinkedIn. You’re seeing someone who’s connected to someone you know who could be a good fit and you’re pinging them on LinkedIn or your getting your email address and pinging them? 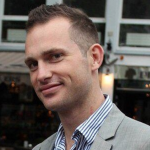 Andrew: How much of your sales is outbound versus inbound? Kris: It certainly used to be really outbound. It’s very inbound now. We’ve still got a lead generation team, but most of it comes from recommendations. Andrew: What does the lead generation team do now? What’s their process? Kris: So those guys will still contact people. One thing that we used to do was like lumpy mail, sending out letters to people. It’s effective. It works. Some of the biggest customers we have is from sending out lumpy mail. Andrew: What would be in your lumpy mail, lumpy mail meaning mail that’s so oddly shaped to see what’s inside it? Kris: Yeah. So we print really high quality letters on high quality letterhead. It’s hand signed in a hand addressed envelope. So you can tell that someone’s put some time into this. It’s big and thick. It’s a two or three page sales letter and then a heap of testimonials and basically saying I’m going to give you a call in a few days. Andrew: What caused the lump in the mail? Kris: Well, that it’s about seven or eight pages folded together. Andrew: You wouldn’t include like a little toy trashcan or something saying you’re throwing away too much of your ad dollars, nothing like that. Kris: Not to that extent, but I have heard that’s effective. The guy that put us on to it does that sort of stuff. Andrew: Who’s the guy who put you on to it? Kris: Mark Mahassey, a guy in the [inaudible 00:52:50]. Andrew: I did an interview–actually a course for Mixergy with a guy named Sam Ovens a while back who talked about this whole process for getting customers. If you have a consulting company, send out lumpy mail. It gets attention, follow up with phone calls, the whole process. It’s in the course. If anyone is listening to me and hasn’t tried it, they should go check it out. He talks about how to do this. Kris: Our biggest customer today, I sent them a letter and they called me. Andrew: What was the amazing thing in the letter? I imagine most people don’t even look through letters that come in the mail. Kris: They just thought it was really interesting. Andrew: What was it that was so interesting? Kris: Well, just that they got a letter. Andrew: I see, just getting anything in the mail is so weird that you have to open it up. Kris: Another customer, she called me like eight months after we sent her a letter. I guess we never followed up. She said, “I’ve had this letter sitting on my desk for months.” So it works. Andrew: Okay. All right. And then what other outbound calls or sales did you do before you hired people to do it for you? Kris: Then I was just scrambling at anything I could, any way to get attention. Andrew: What did you do? Kris: Connect with people on Skype, cold calling, cold emailing, cold LinkedIn-ing. Andrew: You know what works for getting people’s attention? This is amazing. You need an iPhone or a Mac. People will actually respond to text messages much more than they’ll respond to email but it’s really hard to get someone’s phone number so you can text message them. What I’ve done is I will just find their email address, which is not that hard to find online, I put it into iMessage and as soon as you put it in, if they have an iPhone, the little iMessage watermark comes up in the chat box and you know you can message them using that email address. Then I can send them a message. I did this yesterday with someone I know who I wanted to contact and couldn’t find the freaking phone number. I put their email address in and it’s associated with an iMessage account and I sent them a message and within seconds I got a response back. It’s just so freaking effective. Andrew: That works really well. You can kind of do it with Skype, but right now no one’s using Skype anymore. So people don’t leave Skype open until they want to actually contact them. That’s effective. Here’s another thing that I learned recently. A friend’s site went down, largely because she didn’t update her Who Is information. It used to just have a junky who is email address, which now ICANN doesn’t allow anymore. So she couldn’t use her website until she updated the email address for the Who Is information, which then taught me a lesson. Who Is now is actually accurate. So if I wanted to find your phone number–actually phone number is not, but email address, I could easily find it. What I do is I would say Kris Reid, SEO, let me see if–I know you have a personal website, but I just can’t think of what it is right now. Andrew: There it is, KrisReid.net just came up as the third response and I’m going to go to WhoIs.com. I’m going to pop in that into the domain. I’m going to hit search. Immediately it says that’s not available, would you like to buy all these other versions of it, like I could get KrisReid.us, but that’s not what I’m looking for. The greyed out button is the Who Is button. I have to say I’m not a robot, submit that. That’s the first time they’ve ever asked for it. Now I can see there. I see your email address. Are you going to tell me to edit this out because there’s a mailing address too. What’s Kremsoft? Andrew: I see. So that’s the business. Now I get your Kremsoft email address. Let me go into iMessage. This is a little too much. Kris: I don’t have an iPhone, so it won’t. Andrew: Oh, you don’t. That means I couldn’t reach you. Do you have a Mac? Kris: I don’t. I’m not cool enough for a Mac. Andrew: All right. Well, for many people this works, but at the very least I have your email address, which is really effective. That’s what I do. Is that part of what you do? Do you create software for your team that cuts out all this nonsense I just did and speeds it up? Andrew: Where would you get my email address if you wanted to contact me? How would you automate that? Kris: So they’d crawl your website to start with, and if they really want to do then they’ll hunt around and do it manually. You can look through LinkedIn and look around the place. Andrew: I see. It’s not automated. You would just go through–is it AndrewWarner.com you’d look through or Mixergy.com? Kris: Well, it depends how much they want someone, how much they’ll hunt. Generally a business owner has their email address on their website because you want to be contacted, right? Andrew: Right. I see. So you get the email address off their website and then you did this thing with blinking. I feel like I missed something. What else do you do to get their email address? Kris: It will scrape all the information and if there was no mention of a name on the website but the email was Andrew@Mixergy.com, then it will put in a field maybe this is Andrew. Just so we can create a template and then you can create the name right, like if it was ArdorSEO, then you’d space it Ardor SEO so that we can then create a template and go, “Hey, Andrew, I saw you at ArdorSEO,” the actually business name, “And I saw this link as a broken link.” It’s a nice templated email. Andrew: And your software knows where to break up ArdorSEO? Kris: That’s what’s done manually. So it will present like the hundred names that it’s found and they can quickly go through it. Andrew: I see. Your software makes it easy for someone to go through and quickly make the edits. Do you do it yourselves, or do you guys use Mechanical Turk for that? Kris: No. Same thing. We have the office in the Philippines to do that sort of stuff. Andrew: They do that. I see. How many of these contacts did they clean up a day, do you say? Kris: Well, I don’t know. They can do a lot. Kris: They’d easily be able to do hundreds. You can do one every couple seconds. Andrew: Do you send out about hundreds a day or do you do thousands? Kris: Depending on how much outreach we’re doing, depending on how much we’re sending out. Andrew: I see. Who do you use to get Who Is information? Kris: So we don’t use Who Is information. Andrew: You don’t. Do you have another service that works well for that? Kris: We don’t need it, so it’s okay. Andrew: You get the email address and the business owners name from the website. Kris: Generally enough for doing outreach stuff. If we’re contacting a lead, so if we’re doing lead generation stuff, we really want some company or something, then we do it manually. Andrew: Interesting. Do you have any other tools you can share with us? Kris: A really great one for that sort of stuff is Rapportive. Andrew: That’s still the best. Kris: Yeah. It’s really good. Andrew: What do you do to enrich the email address, to find the Facebook account and everything else? Andrew: Rapportive doesn’t do Facebook anymore, right? Kris: That’s a real shame. It used to do Facebook and Twitter. Andrew: It used to. I think everyone knows Rapportive, but basically it’s a Chrome extension that if you’re typing an email into a to line in Gmail and you mouse over that email address, it will tell you on the right side what they look like, what their full name is, what company they work for and link over to their LinkedIn profile. They don’t do Facebook anymore. What do you do for Facebook? Kris: We don’t really need it. Andrew: A moment ago you were saying you might look at their Facebook account information. Kris: If you really want to know someone, just recently we hired a project manager and I wanted to vet who he was. So I looked through every social media that I could find to see he’s not a crazy person. Andrew: I see, kind of like how I did with you. Andrew: I see. You did also hire someone to do sales for you, and it turns out the guy did not end up doing a good job. He was a terrible salesman, you said, but. . .
Kris: We’ve gone through so many sales guys. Sales guys are really good at telling how good a salesman they are, that’s about it. Andrew: I know. They’re really good at that. That’s the one product they can sell. Kris: Yeah, You’re so excited and fired about it like great, you’re going to be amazing and then nothing. Andrew: So you haven’t been able to find a really good salesperson. You now find other people to do other jobs and you’re still number one salesperson? Kris: No. We finally about six months ago got an American guy who’s a really good sales guy. He’s closing bid deals. He’s doing really well. We just hired a project manager who’s a really experienced guy. So he should take up so much of my role that I can get back to doing marketing. So I want to generate lots and lots of leads for sales guys. Andrew: I’m hearing, by the way, I just found the link, that Full Contact is what a few Mixergy Premium members are using to get more information on the people who they’re trying to contact. I don’t exactly know how they’re using Full Contact for it. I think what Full Contact does is like Rapportive on speed in addition to a CRM, in addition to a couple of other things. I’ll check it out and I’m sure now that I’ve said it out loud, people are going to contact me and tell me about what they’re doing with Full Contact. All right. This was good. Is there anything that we missed here? Kris: No. I don’t know particularly. Andrew: There’s one thing I was going to ask you up front that I’ll ask you now that we’re closing, revenue–what was your revenue for 2015? What’s 2016? Kris: I know this is a question you always ask? Andrew: What do you feel comfortable saying? Kris: I always wonder why you ask revenue and not profit. What’s more important? So I’m looking for business metrics like revenue. If you would have been in a different business, I might have asked you how many customers you have, that kind of thing. But I also don’t want to push you. I forgot to tell you before the interview started because I was so like shot out of a cannon, I don’t edit anything out. So, if you give me your number and you say, “Andrew, please edit it out afterwards, it’s going to be very awkward for us.” So now with all that, what do you feel comfortable telling? Andrew: I know your numbers. They’re very strong. It sounds to me like what you’re saying is it doesn’t make sense for you to expose those numbers right now and I’m not going to push you to do it if it doesn’t make sense for your business. Is that fair? Kris: Thank you very much. Andrew: Why did you tell our producer then? Andrew: So, when I started this, my vision was that I would only interview companies after they sold or after the story was over. At that point, it makes sense to talk about revenue. While you’re building a business, I thought it would never make sense to bring up revenue because you don’t want your competition to know, because you don’t your employees to know, because you don’t’ want–there’s no big benefit for it. What I realized was there were a lot of people who while the company is ongoing are still eager to do an interview and there’s a benefit to doing it. What I learned from talking to my friend over at Olark is business dev opportunities come at you from doing these interviews, not always, but people will reach out to you because they want to invest, partnership, there are definitely benefits to doing the interview. What I learned also from talking to another founder–I forget his name right now–he said, “I had to tell you my revenue because competition was coming in and everyone knew how much funding they had and now I look like a pipsqueak because I was bootstrapped.” He was in the email business and it was–I can remember. So I said, “It does kind of make sense at that point.” I started asking and it turns out a lot of people are comfortable saying it. Very shocking that there’s a business advantage to doing it and that people would say it. I will say this that I don’t say out loud and I should bring this up. A lot of people after they do the interview then feel really awkward about having said it and they ask me to edit. I just had someone the other day that said, “Can you please bleep out that I gave out the number. Here’s a whacky way you can bleep it out.” I emailed him back he was totally understanding when I said I can’t. I should brag about that because I think because people reveal their numbers on Mixergy and I don’t make such a big deal out of it, we don’t do a drumroll or any big thing, it sounds like something that’s an easy thing to talk about. It sounds like something that people just spill out all the time, which is not necessarily true. Kris: Yeah. We had a senior staff leave last week to move back to the UK, so nothing we can do about that. During her exit interview, that was one thing that we said, “How was your salary? Were you happy with it?” I know she was hinting at, “I have an idea about how much we charge clients.” It just opens a can of worms. Andrew: What people don’t realize is the expenses. It really is very expensive to run a business. Can you say what your expenses are? Kris: You can’t do things if you don’t have money to grow? Andrew: Do you feel comfortable saying what your annual expenses are? Andrew: Is it over $1 million? Andrew: It is? I just looked up who the company was. The company was Beanstalk and they were going up against SendGrid. They revealed that their postmark product, which was going up against SendGrid did $1 million in sales and their reason for doing that was to say, “I know everyone is paying attention to SendGrid and how they got money from Techstars, but we’re still hear and we’re actually a very viable business and we’re growing and here’s our revenue,” and that’s what I learned from talking to them. I wonder what happened to him. Chris is such a smart guy. I’ve got to follow up with him at some point. All right. This interview is not about him. It’s about Ardor. Where should people go if they want to follow up on this interview, is it ArdorSEO.com? Kris: You can just Google the coolest guy in SEO. Andrew: What’s the deal with that? Why the coolest guy in SEO? Why is that your name? Kris: Just a customer who’s in Nashville who’s a really cool guy was paying me out for being a computer geek. Andrew: He was doing what? Kris: He was paying me out for being a computer geek. Andrew: What do you mean paying you out? Kris: Just teasing me, just having a bit of fun. Andrew: I see. He called you the coolest guy as a tongue in cheek way of saying you’re not so cool? Andrew: Well, I think you’re pretty freaking cool. I’ve been looking at you. First of all, you’ve got the open shirt, the cool necklace, the beard that looks good on you that’s not like a five o’clock shadow, just a little bit more, but not so much that it looks out of control. I do see this old photo of you where you’re looking a little bit geekier, where you look like a guy–this is you in your glasses leaning over your computer. Andrew: Your cup full of pens, I don’t know how much writing you’re doing. I see some hand lotion behind the computer. I see there was a period there where maybe calling you the coolest guy in SEO might have come off as ironic. I think you’ve got some swagger to you. I think you live up to that name. Kris: it probably depends on what day of the week you get me. Andrew: Is that right? I’m glad I got you today then. All right. Coolest guy in SEO, thanks so much for doing this interview and for the two sponsors, I want to make sure I thank them properly. If you want to hire a developer to build an internal tool or to build a product that you’re going to present to your customers, you’ve got to check out Toptal. Go check them out at Toptal.com/Mixergy. I’ve got to spell it out because I talk too fast, T-O-P-T-A-L. Top as in top of the mountain, tal as in talent, Toptal.com/Mixergy. The second sponsor is a company called HostGator. I know I talk so fast sometimes some people miss that. I actually went out and got an alligator hat I used to wear in these ads to show people it’s the gator. That’s what you want to remember. The people at HostGator said, “That’s not our mascot. It’s the wrong color.” So, instead, I’ll say think of an alligator. Go to HostGator.com/Mixergy. I’m grateful to both of those guys for sponsoring. Kris, good to meet you. Good to have you on here. Kris: It’s been great, Andrew. Thank you very much. Andrew: Cool. Thank you. Thank you all for being a part of Mixergy. Bye, everyone.